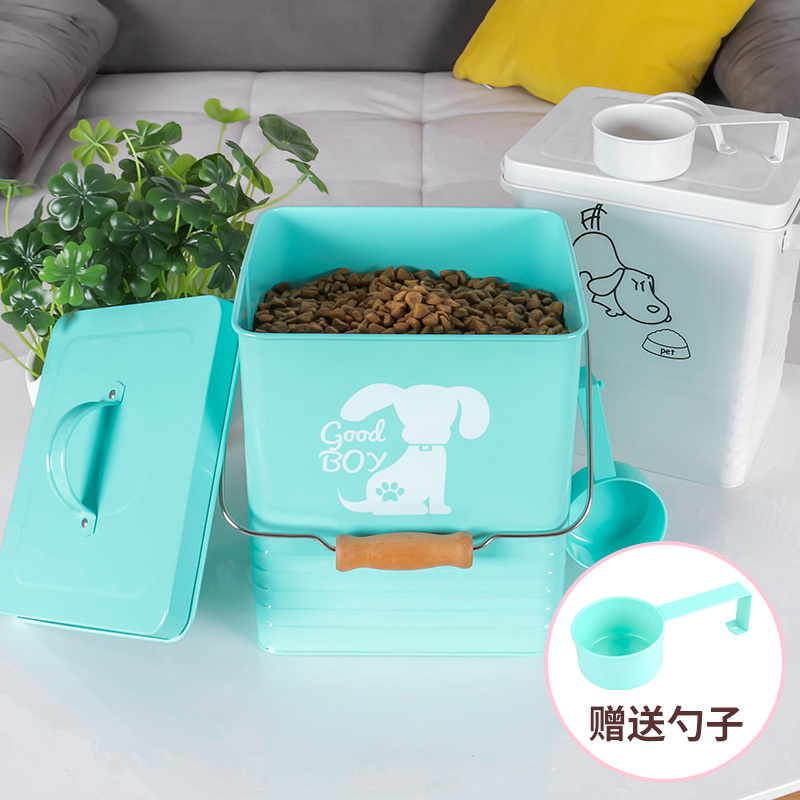 The dog's food container is used for smearing environmentally friendly powder and is a common and practical pet dry food container. Available in a variety of sizes and colors. The food can is an original design with a spoon that has the feel of a farmhouse and a retro atmosphere. Letters, colors and logos can be customized to your requirements. Please call for inquiry of our products and I will be glad to assist.